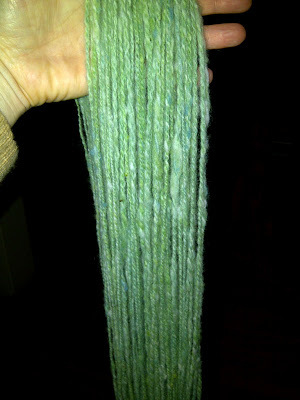 I mentioned earlier that at the Fleece Sale, I split a 6lb. dorset fleece with a friend. Washed it all up on that first day. The following weekend I divided it into 4oz portions. That’s when I realized I lost nearly an entire pound in the washing process. I ended up with 8 – 4oz bags. The plan was to dye each portion some variation on the theme of green. I had a large jar of blue and another of yellow. So into each dye pot went a combination of blue:yellow. 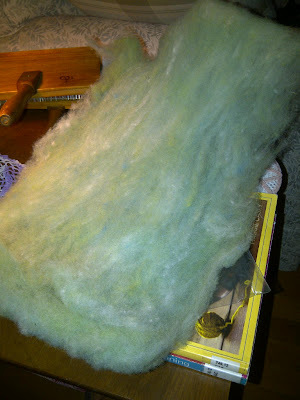 After they dried, I teased and blended them — and then put them through the drum carder. You can see the piles of green, blue and bright green. 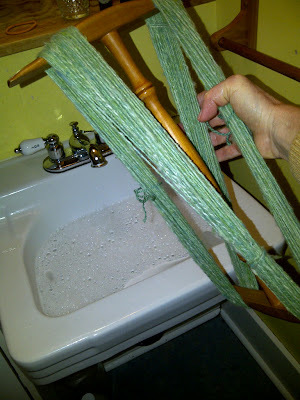 The plan was to put them throught the drum carder a few more times. However, on Tuesday I attended a spinning demonstration at the Fort in Fort Langley. 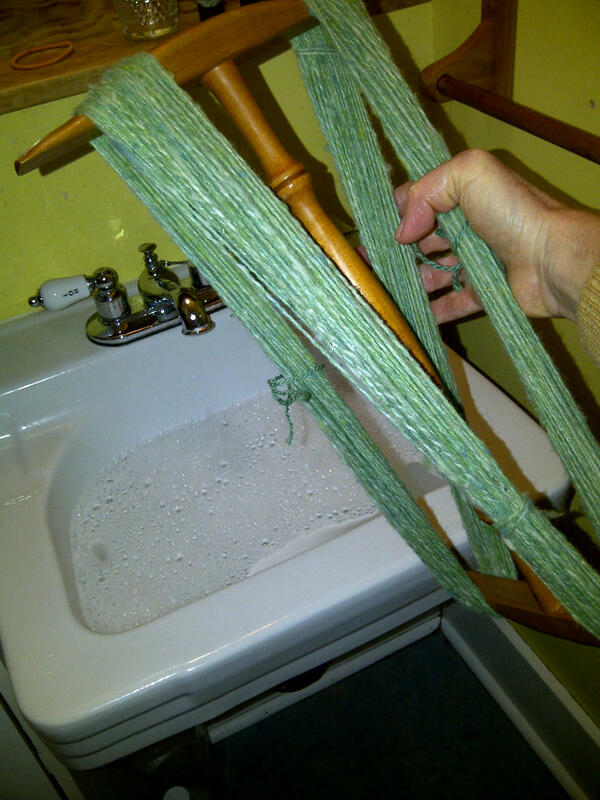 I didn’t have much time to plan this — so I just grabbed a batt of this fibre. It could have used a couple more passes, but it still spun up with no trouble. I like the fact that it isn’t completely blended, so the colours come out in inconsistent ways. Just like they do when you are looking at a field of hay, or a body of water. 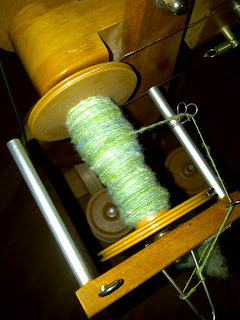 I spun the entire batt onto one bobbin and then navajo plied it. Here’s the result — washed and thwacked to encourage blooming. 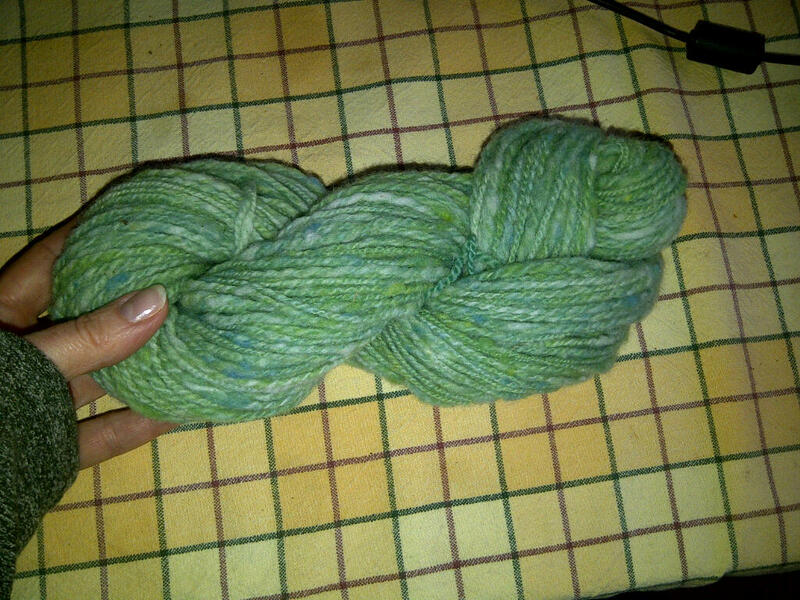 It’s not my best spinning, but I like the fact that it really looks handspun. 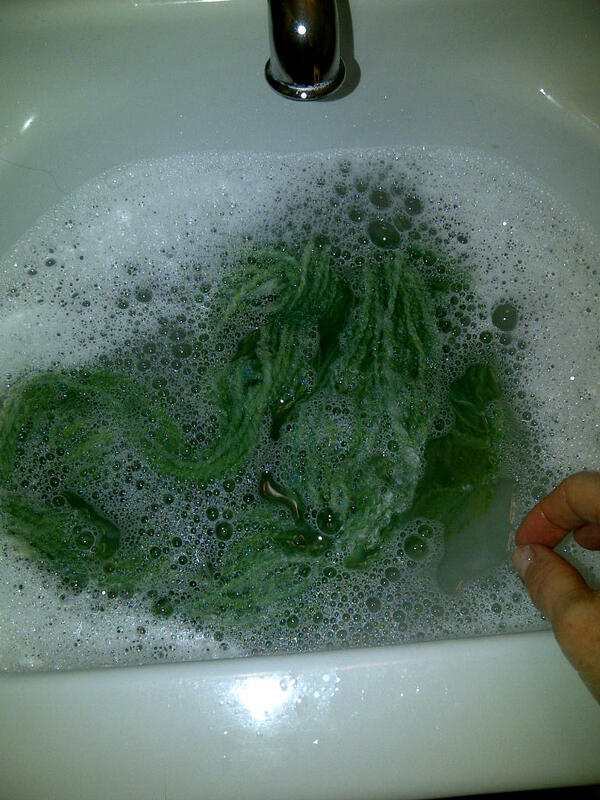 The next thing I plan to do is knit up a swatch of this yarn — wash it up real good and see what it does. I’ve been told that dorset — as a down breed, doesn’t felt. So it may be a good contender for sock yarn. We’ll see. 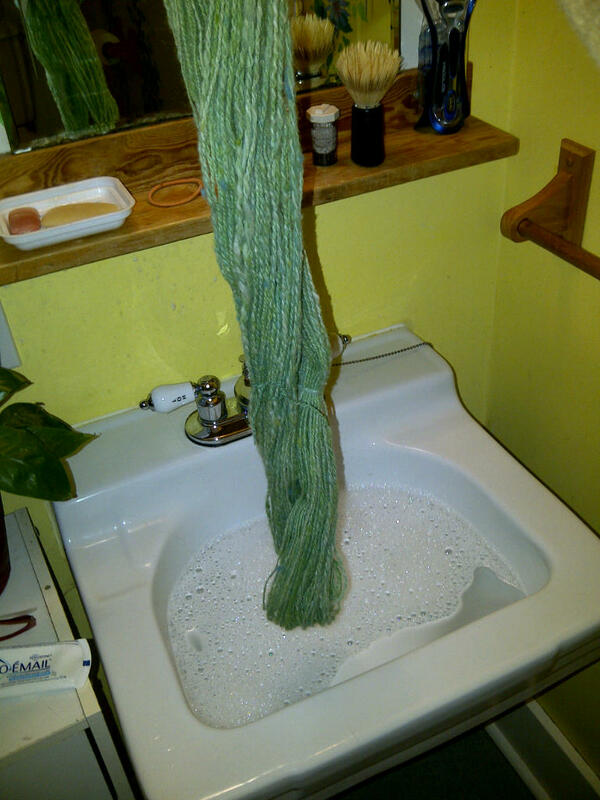 This experiment used up one pound of the fibre. With the other 4 – 4oz bags, I am going to do the same thing, but with variations on the theme of Ruby. It’s the Langley Weavers and Spinners Guild 40th anniversary this year. For our first meeting in September, we have organized a Ruby Challenge. 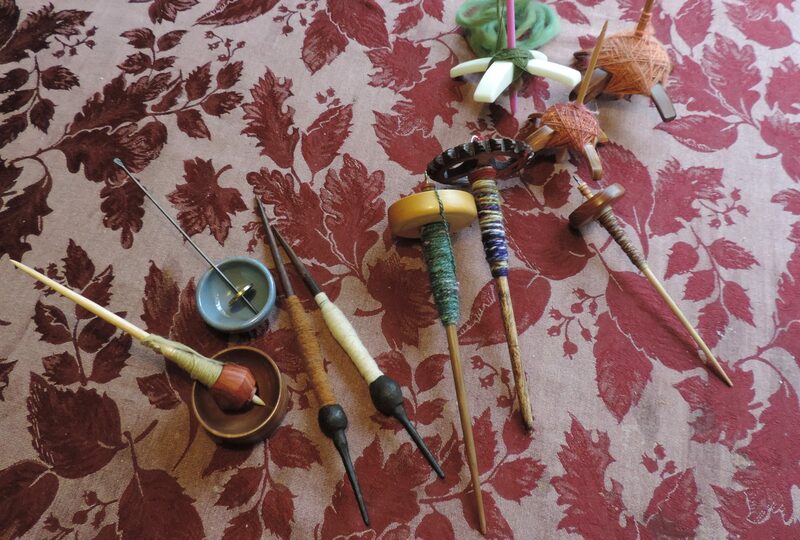 The challenge is to spin, knit, weave, felt something — anything — from Ruby coloured fibre. 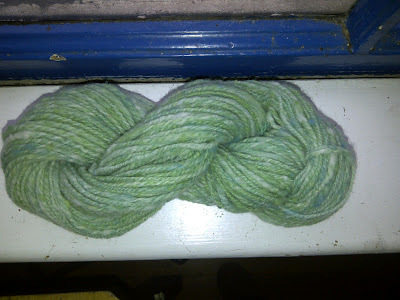 I like the way the blues and greens blended in this experiment, so I am hoping for a similarly lively result for the Ruby yarn. This entry was posted in dorset, dyeing, handspun yarn on July 10, 2011 by DianaTwiss.